Where do I celebrate? Will there be enough space? How much will it cost? It’s exactly THAT time of the year where you have to start deciding for THIS one big night! Stop filtering places! Stop making bad choices! Forget celebrating the 'BIGGEST PARTY OF THE YEAR' in small crammed up places, instead join us for a 'STRESS FREE NEW YEARS EVE' where you don't have to worry about under sized hectic venues that charge over-priced entry fees with over-priced bars! 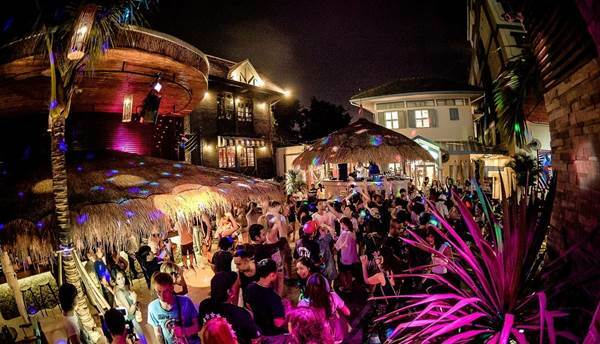 FEATURING a restaurant, lounge bar and beach club all rolled into one, this vibrant NEW YEAR destination on Khao San Road takes its inspiration from Ibiza-style beach clubs and offers a long list of cocktails and Thai cuisine. On this big night, we are bringing together all the elements you've grown to love about the vibrant night-life scene in Bangkok to deliver the BEST NEW YEARS party in town. Expect 100% Quality live music by the talented FUNKY DOJOS who are able to play almost every genre.